Las Vegas hotel purchase by Penn National Gaming is not happening now said this week by company sources. Rumors in the news and online sources was the regional casino operator to purchase Mirage Las Vegas hotel casino surfaced after TI’s commercial real estate deal was announced. MGM Mirage started paperwork mid December 2008 to sell Treasure Island to real estate developer Phil Ruffin, former owner of New Frontier hotel, for $775 million. As a publicly traded company, MGM Mirage, must evaluate all legitimate offers for purchase. A potential purchase of Strip property by Penn National Management would be a strategic move for them to add to their portfolio of racetracks and casino in 15 jurisdictions. The current economic condition affecting the real estate market would be a strategic move by MGM Mirage to create more liquidity and a healthier balance sheet for their current development of Project CityCenter Las Vegas. Cash rich Penn National has $1.48 billion in assets available due to a halted private equity buyout. They are looking towards Las Vegas for their next purchase but taking a wait and see for better prices approach to current opportunities. MGM Mirage would currently entertain sale of The Mirage only if the purchase was closer to $1 billion or above 7X the company’s current cash flow. 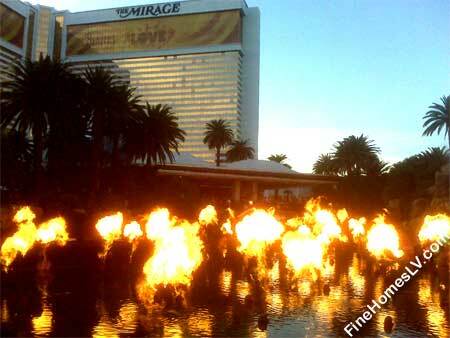 The Mirage was purchased nine years ago during the buyout of Mirage Resorts. Las Vegas hotel purchase by Penn National Gaming is not happening now according to published news reports.